This was one of the buys from my recent haul and technically my first MUA product. These days I'm undergoing a bronzer phase. Thanks to the ever roundening face,I feel the face looks too flat without them. I personally prefer matte muddy brown bronzers on me, so actually speaking this was an impulse buy!! 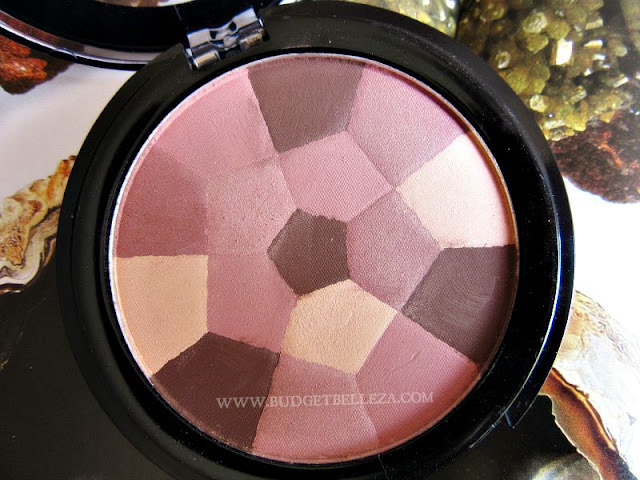 Lets meet MUA Bronzer in Sunkissed! 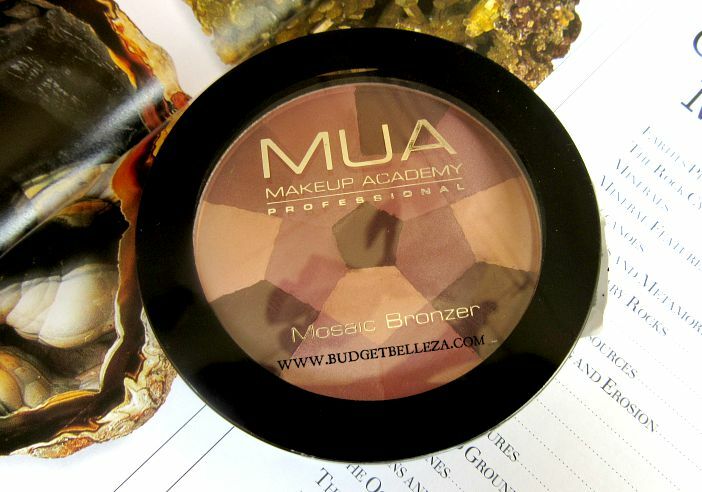 The Mosaic Bronzer combines four gorgeous shades that when swirled together create the perfect natural bronze shade. Grab a contouring brush (we recommend MUA's F6 Blusher and Contouring Brush) and swirl around the compact so all the colours blend together and then simply apply to the apples of the cheekbones. 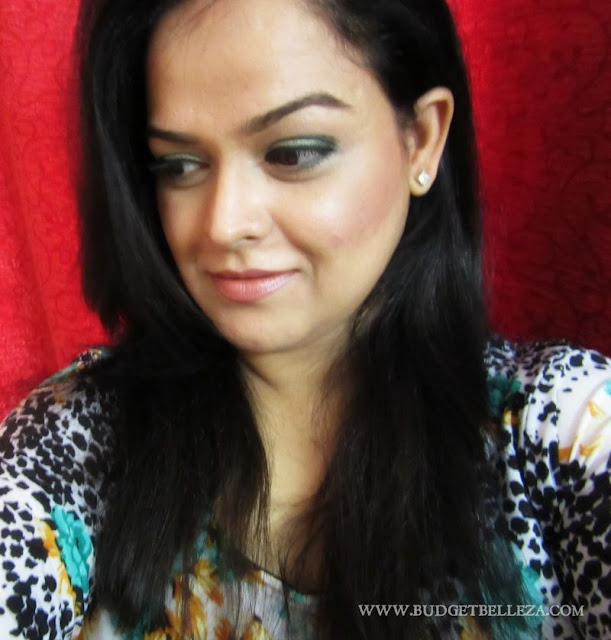 Use a small amount for a natural look or build up for a more dramatic contoured look. 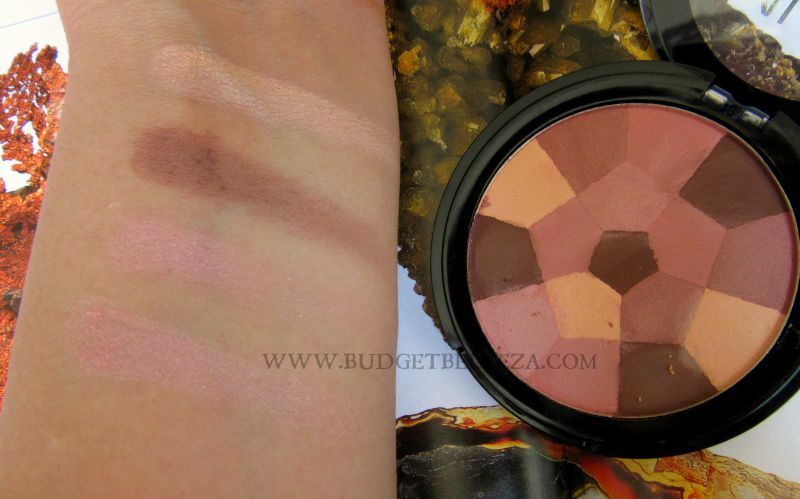 The reason why there are so many colours in one blush is to build up a better colour palette of pigmentation! All skin tones take different colours more prominently and by using them all in one go, it will adapt to suit your skin tone. This will look totally different on you and your BFF! 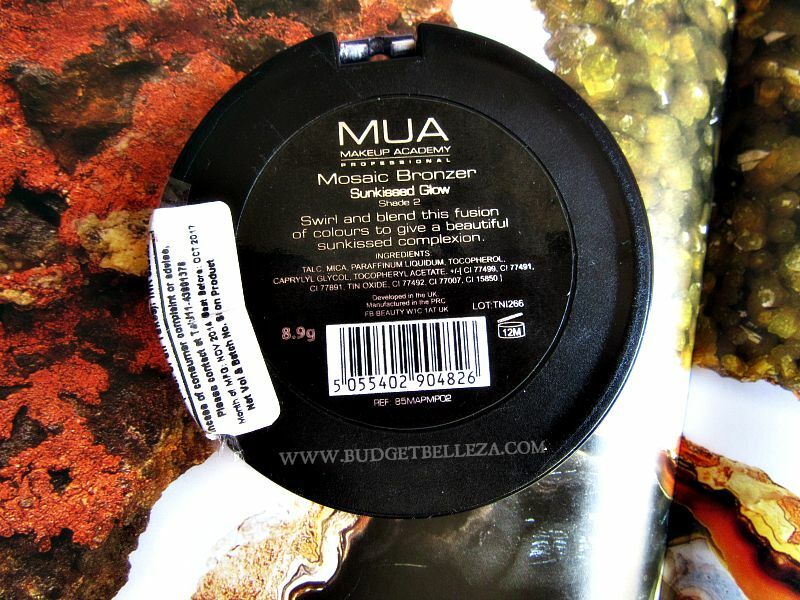 MUA Bronzer in Sunkissed comes in a round pan. It is divided beautifully in a pattern comprising of four different shades. Even though the lid is made of transparent plastic, it's not flimsy. It click locks ensuring the safety of the product. Bummer!!! I'm not a big fan of the shade. Since it is a Mosaic Bronzers,it comprises of four shades and out of these, only the brown one is actually a true bronzer, the other three shades are either blushers or highlighter. I have swatched all the four shades separately to give you an idea but the technique is to swirl your brush in the pan and apply. Now maybe it works on the very pale skins but on me it comes less as a bronzer and more as a cool toned dusty mauvy blush with miniscule silver sheen. 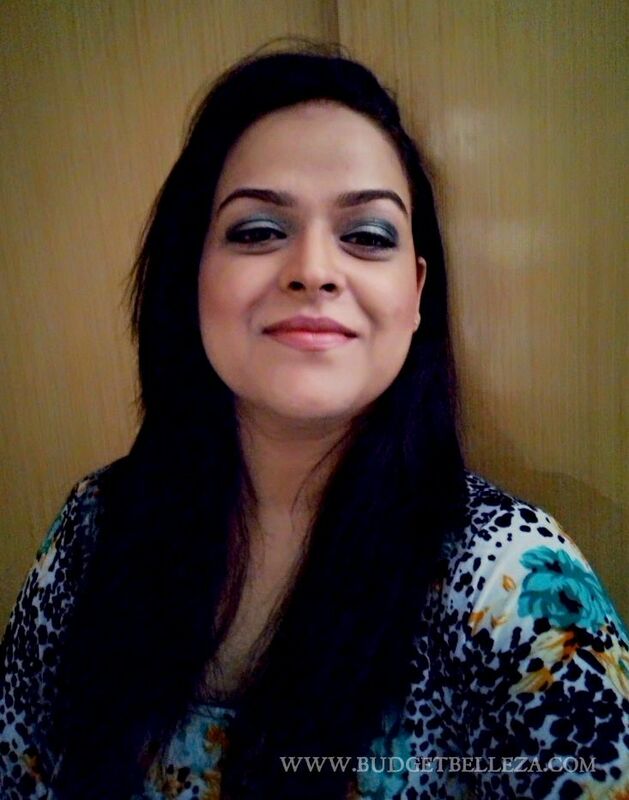 It feels smooth on the skin but given the fact that it is powdery, it has major fall out issues. With just a swirl of the brush I can see the powdery fall out that couldn't be picked up by the brush and are still collecting along the corners of the pan. This makes it less long lasting. I noticed if applied directly on your makeup base it stays longer than applying after setting powders. Different blocks of shades have different pigmentation. But as a whole it shows up really well. Try not to layer it coz one layer just sits on another making it look chalky. MUA Bronzer in Sunkissed doesn't come up as a bronzer on me. Like I said I'm a fan of muddy brown matte bronzers that kinda provide a shadow like effect and this is neither brown not matte. The packaging is nice. It feels buttery on skin and applies smoothly. 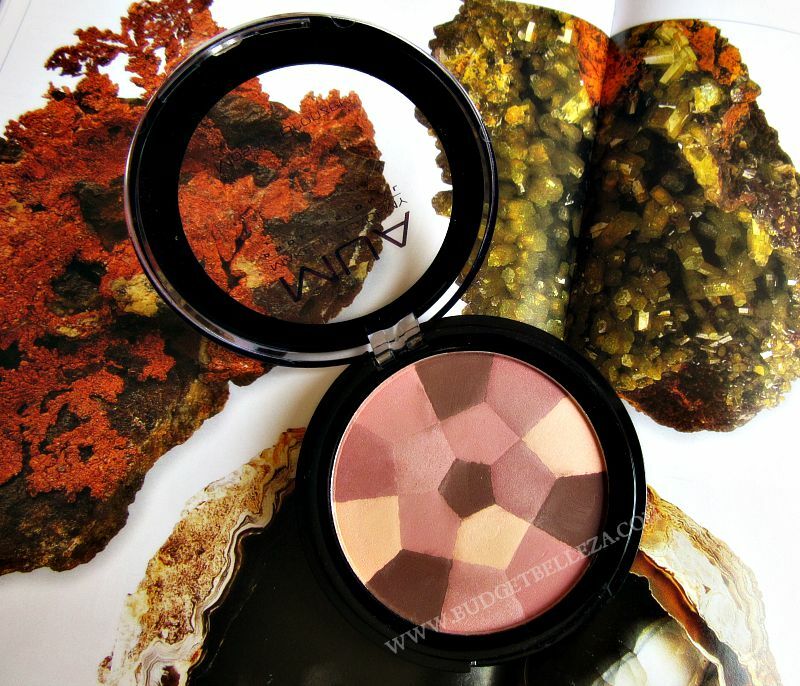 Has a shimmery pink and a yellowish shade that work as a highlighter. 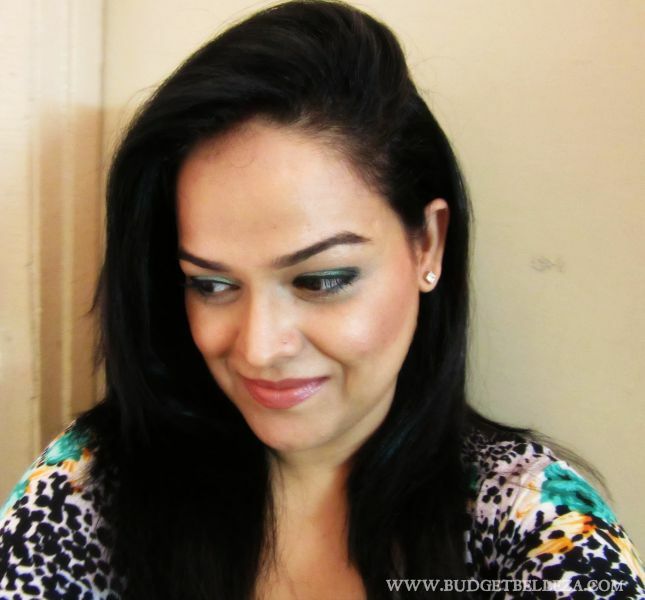 It provides a dewy finish along with the deep mauvy blush kinda look. I might wear it with my berry lipsticks to make it work for me. 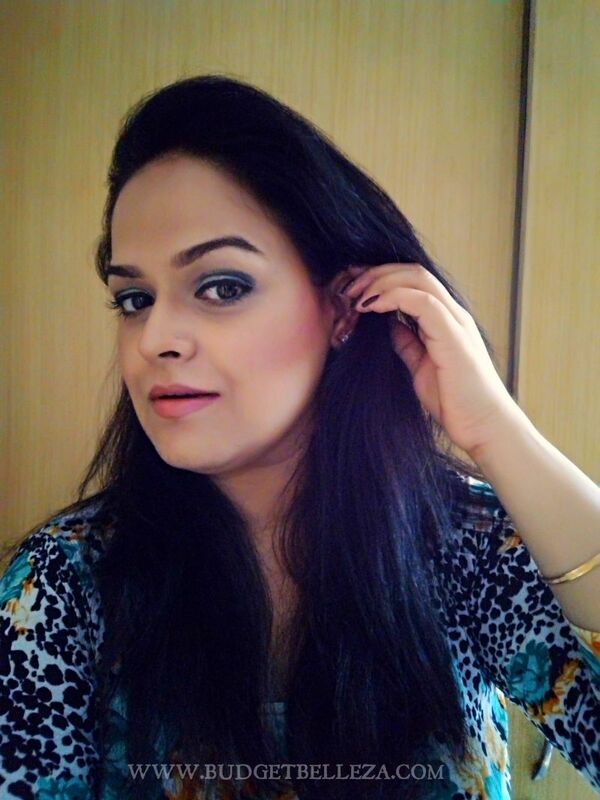 But with this you shouldn't follow your regular bronzer, blush , highlighter technique coz it has all in one and that's a major plus for the makeup beginners and beauties on the go. Swirl..Apply..Buh-Bie!! Don't care about the product. You look gorgeous!!! I love the way the makeup is working with your outfit. Thank u so much dear..and it isn't warm ..leans more over cooler mauve!